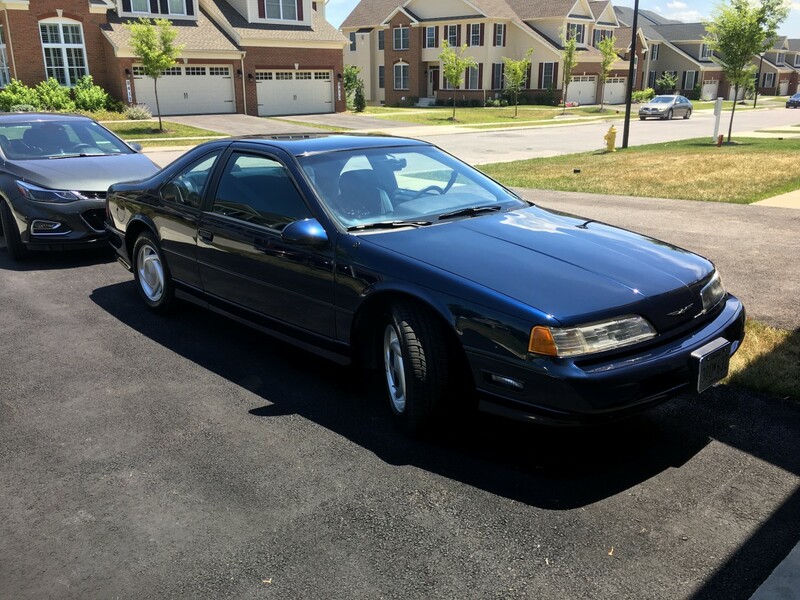 After selling my first ’89 Thunderbird SC way back in 1991, I had kept my eye open for SCs for sale, first in the used car ads and then (as time went on) in the old car classifieds. It wasn’t until I sold the 2006 Subaru I described a couple of weeks ago that I decided to look for Super Coupes more seriously. Although the production numbers were relatively low (about 12,000 made in ’89, for instance), they weren’t that hard to find on eBay or the old car classifieds, probably because the cars attracted a pretty serious fan base who were dedicated to keeping these cars on the road. It didn’t take long for me to locate a very interesting candidate to buy through an online collector car website. 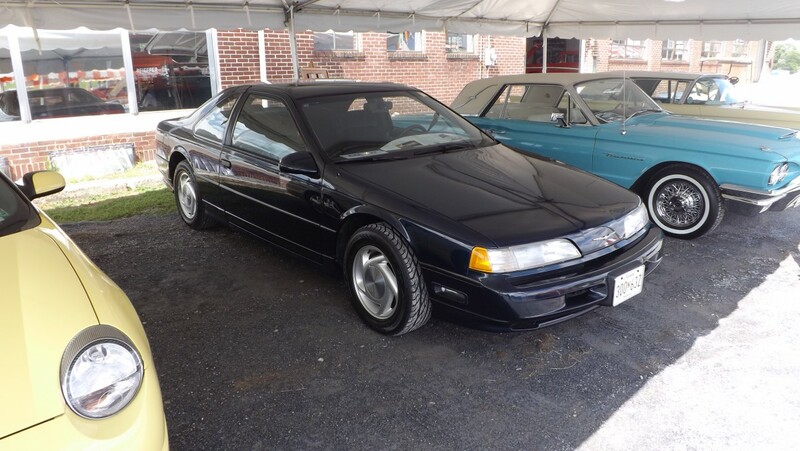 This particular SC was a 1989 model like the one I had, and was dark blue with a blue interior like my first one, and looked and ran like new based on the photos and YouTube video posted in the ad. This one was equipped very much like my first one, with some slight differences. This one had the OEM JBL stereo with CD (mine just had the premium cassette system), a 4-speed automatic (my old one had a manual), and no sunroof (my first one had the power moonroof). Best of all, it only had 55,000 miles on it (verifiable by the 6 digit odometer). Even though the car was less than 400 miles away and essentially in my hometown, I paid for the car to be shipped to me. Like a kid at Christmas, I took the day off to sit at home and wait for the truck driver to tell me he was on his way. Once it rolled off the trailer and into my driveway, I got behind the wheel of a Thunderbird almost exactly 20 years after I’d sold the first one. It was a comfortable place to be and all of the controls fell readily to hand as if I’d just traded in the first one the day before. Interesting how those things stick in your mind and just take the right inputs to bring them back out. A quick shakedown run let me know that there were a few problems as one might expect from a 20+ year old car. The OEM stereo didn’t work and neither did the clock in that radio. The tires were rock-hard and, based on the fairly complete service records I got with the car, were about a decade old. The driver’s power seat could only be moved back and forth if you weren’t sitting in the seat. The car pulled hard under aggressive throttle, but the idle speed was a bit uneven. The automatic day/night mirror didn’t work (it was a simple system that used a motor to tilt the mirror back and forth). And it needed a good detailing. But overall, it was probably the nicest one I’d seen and I was very happy with it. And fixing these things was all part of the fun, right? Over the next six months or so I tackled each of its problems. I found a fellow MN12 T-bird enthusiast online who rebuilt the OEM stereos – apparently, the manufacturer of the cassette head units (Alpine, if memory serves) used capacitors on the circuit boards that contained liquid electrolytes. Over time, the capacitors began to leak and would not only cease to function themselves but the liquid would damage other components on the circuit board. A small fee and some patience yielded a working cassette head unit and CD player that were better than new (since the CD player could now play CDs burned in a computer, which were unheard of when the car was new). A new set of tires took care of the sketchy old ones. The power seat was a nuisance that I haven’t fixed yet since I didn’t have to move the seat much – I do have a new power seat mechanism though. The uneven idle was traced to the need for new spark plugs and wires, and replacing those highlighted why Ford made a big deal out of their use of 60,000 mile platinum plugs in the OEM brochure. Replacing the plugs was not exactly simple, and required disassembling much of the supercharger induction system to access the plugs. At least the shop was able to replace leaking valve cover gaskets since they had the engine partly disassembled. I haven’t figured out yet why the day-night mirror doesn’t work despite buying several replacements on eBay. Why are these things interesting? Well, first of all the MN12 Thunderbird wasn’t introduced to the public until the day after Christmas, 1988 (two months after my car was originally ordered). Second, a book I own called the “Standard Catalog of Thunderbird” states that the introduction for the Super Coupe was delayed by more than a month due to quality control issues with a new cast iron alloy originally slated to be used in the supercharged engine. According to the book, a revised forged crankshaft was hastily pressed into service, and the Essex (Ontario) engine plant started production on January 30, 1989 with plans to ship the first 600 engines by the end of February. Finally, the Marti Report provides a “dealer” address that, when mapped, shows as a residential street in Dearborn along the perimeter of the Ford campus. The closest buildings on the map to the address (according to Google) are the Product Development Center and the Powertrain and Fuel Subsystems Laboratory. So, what does this all mean? Your guess is as good as mine, but it seems to me that Ford may have ordered the car itself as an early-production tester (remember the Thunderbird was all-new for ’89), putting in the order in October ’88. The delay in the engine production meant that the car didn’t get produced until the end of February 1989 and delivered to somewhere on the Ford campus near some interesting departments at Ford. From there, the next data point I have is that the second owner purchased the car roughly a year after it was made and owned it until I bought it. Since I bought it on consignment, I was never able to talk to the owner so I don’t have his take on the car’s history, unfortunately. Does this mean the car is one of the first production Super Coupes? Possibly, although I can’t tell for sure – I’d love to know, though. Congratulations! What a wonderful wife you have. And that Thunderbird SC ain’t shabby either! I absolutely love the MN12 Thunderbird. SC or LX doesn’t even matter to me. Thanks for sharing! It is nice to know one can go back… at least car wise. And I agree with Wolfgang, you have a wonderful wife. When you wrote “… and all of the controls fell readily to hand as if I’d just traded in the first one the day before …” I smiled a bit because I believe the brains of car lovers have a special place for remembering exterior shapes and interior feels (using feel as a noun). I agree on your observation about car lovers and remembering things about cars past. started to stick the key in the ignition in the wrong place. My first thought was “now where did that come from?”. Then I realized that my mind was trying to start the ’55 Ford that I had in high school in the mid sixties ! I had not even been thinking that car at the time. My Mustang is a five speed manual and I am always trying to throw the clutch in or grab the console shifter when I drive my wife’s automatic transmission equipped Toyota Solara. Thanks for This! I too love these cars, having had a 95 LX. Your comment about the controls is so true. In addition to it being familiar, it’s also because I find that the seating position and controls were better located (for me at least) in the MN12 than any car that I had before or since. It’s as if everything is at your fingertips and feet while sitting in your favorite recliner. I have also considered getting another and still find myself searching eBay for the occasional low mileage survivor. This generation of Thunderbird falls into almost a “cult classic” category. Ford was disappointed with cost overruns in the development program, not meeting weight targets that had been set, and (IIRC) wanted it to be less expensive to produce than it ended up being. The automotive critics weren’t gushing over it either and it never sold in the numbers that Ford wanted. However the fans of these cars seem to be fierce in their love and dedication for the SC models and the V8 models. Sounds like a cult classic to me. This car marked a turning point for Ford. Its product planners sought to impress Ford’s chairman, Don Peterson, with a “driver’s car”…. rear wheel drive with independent rear suspension and SLA front suspension. It failed at missing so many of its objectives (weight, quality, cost, timing, complexity) that the normal MT COTY luncheon was replaced with a disciplinary speech to the entire team… delivered by the highest ranks of Ford… Peterson, Red Poling (president), and Max Jerosik (VP of product development). That 1989 Thunderbird and Cougar program (code MN12) copied nothing from the preceding breakthrough, 1986 Taurus/Sable (DN5). For Ford, DN5 trail blazed things we take for granted today… tactile feel switches/controls, ergonomic locations for controls (e.g., remote fuel door and decklid releases located near the driver’s door opening… instead of hidden in the glove box). Why? The MN12 team fought a battle to deliver a rear wheel drive, independent rear suspension platform INSTEAD of deriving thevThunderbird/Cougar from the Taurus platform. This created an animosity between the two product development teams, wherein the MN12 team eschewed all things DN5 related. Your automatic day/night mirror is an example… MN12 used the old motorized mirror, whereas the DN5 platform began transitioning to the then new electrochromic technology. This disfunction resulted in a re-focus of Ford’s product development. “Car guys” could no longer run amok. Many were banished. It’d be 2 generations of Ford products before complete, inspired vehicles would be developed again. Ford fans can thank Alan Mulally and Derrick Kuzak for the rebirth. This is exactly the type of car I would go nuts for at a car show. For the last 30 years, car shows have just been a sea of the aforementioned Tri-Fives, Mustangs, Vettes, ’57 Thunderbirds, etc. Bring on more 80’s & 90’s classics that are getting rare on the roads! The problem with restoring the newer classics are that the interiors and much exterior trim is plastic and must be replaced and replacements are either NOS and brittle or unobtanium. The second issue is computer electronics dying and the same problems with the interiors pop up. I loved these ‘Birds and the preceding Foxes. Between the 1983 and the 1997 I owned several of them and even drove a few more. I got to experience every drive train in all of those years except one……..
That one regret? I never got to drive a Super Coupe. 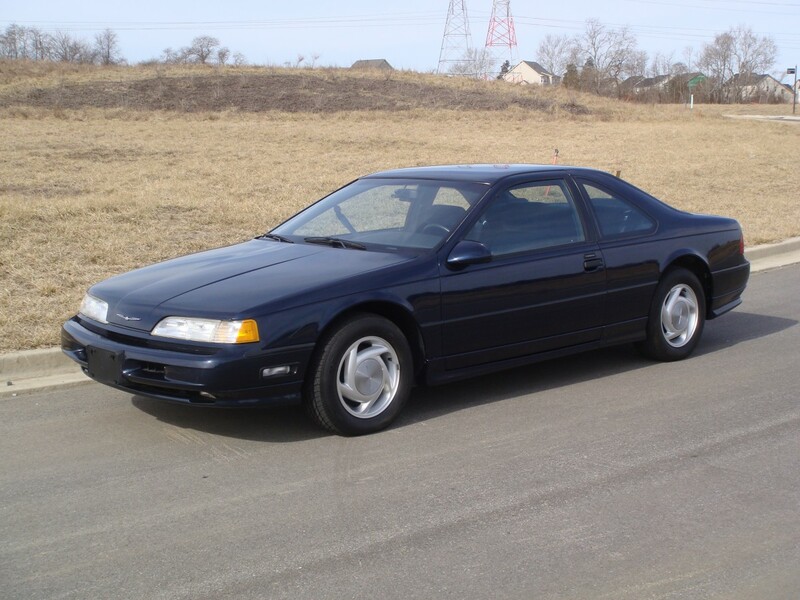 When I traded in my last T-Bird (the ‘97 LX pictured below), I finally got to drive a 3.8L Supercharged car, but it was a Grand Prix GTP that I had with my one brief dalliance with GM. I must agree with the other posters here about the great ergonomics of these cars… Ford always did a good job with this. Every T-Bird I ever owned had all the controls right where you wanted them. Congratulations on your T-Bird. It seems to be a bit better than my father’s ’73. Maybe I should have looked for one instead of getting my LeBaron Coupe. the radio has a cassette deck, and the CD player was an optional add-on 1DIN unit which slotted in directly below the radio. Correct – this was a big deal for the 80s to have space for both cassette and CD units. 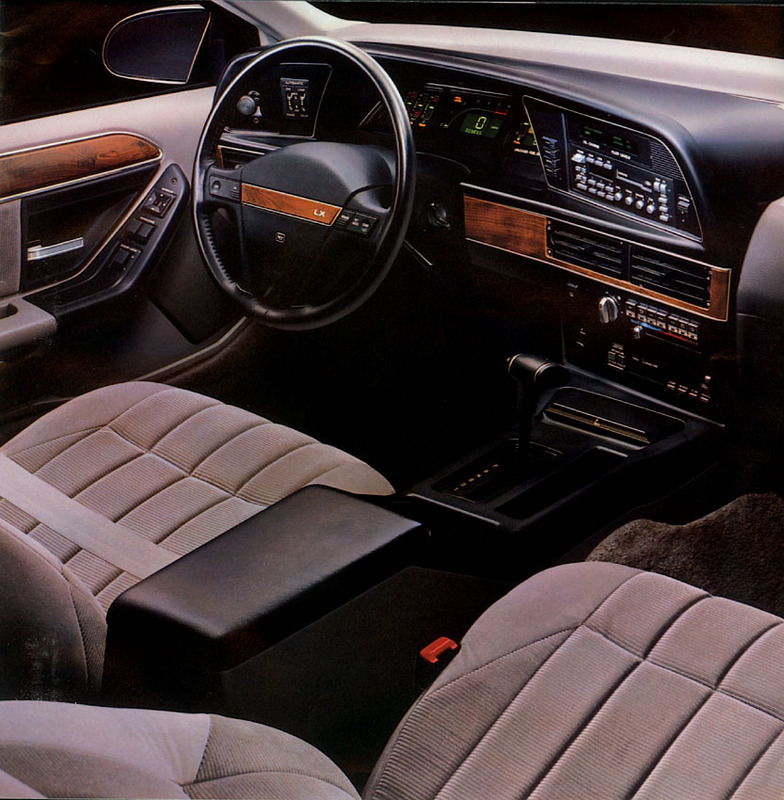 The cassette was mounted up high (you can see it in the picture) and the CD player was down where the dash meets the console – if you didn’t buy the CD player you got a small storage bin down there. Not the most convenient location for changing CDs. Good for you in preserving this noteworthy Thunderbird. I’ve seen the odd SC Coupe for sale up here. Some appear to be well cared for, others not so much. It is certainly a collectable car of the late eighties. Wow, that’s a great looking T-Bird! I think the design has aged well. Your car show admirer was right, it really doesn’t look like a car pushing 30 years old. It could pass for a modern car, except that the styling is too clean and tasteful. I always thought of this generation as an “architect’s car”. I say this because for years, in architectural drawings or models they would portray generic cars that looked vaguely sleek and futuristic, with a squared off wedgey look to them. Basically, the MN-12 Thunderbird. I’ll bet you some architects are still using those cars, and the “architect’s car” T-Bird still passes as a car of the future! What a great story! And yes, isn’t it a great feeling when the spouse says to go for it (and means it). I had a serious, serious crush on these when they were introduced. I was happy to see a modern application of the old-school supercharger (which I have always liked better than turbocharging) and I considered the car to be beautiful. Still do. The SC avoided some of the cheapness that the lesser cars suffered from early in this series (due to the tremendous cost-overruns as noted in an earlier comment). Alas, I was engaged and had no budget for a car in the SC’s price range. I have wondered how it would feel to get a second chance at some cars I loved in decades past. How great that you get to find out. I’d put better odds on it being a management lease car. the cassette mechanism inside the radio might have been Alpine or Sony, but the radio itself would probably have been a Ford Electronics (FEL) unit. Alpine didn’t start supplying radios to Ford until I think 1999 after FEL was spun off as Visteon. What makes this car more interesting is that it is an “early build car.” If the production number on the VIN is low (0000005) for example that is highly desirable for some collectors. I can see a particular department wanting a regular production car for evaluation or promotional purposes. Any pilot cars would have been driven hard by journalists or destroyed by the start of production. Pilot cars being hand built aren’t up to the quality standards and specs of a regular assembly line model. There are different levels of “pilot” cars. I won’t go into the details of nomenclature, acronyms and their meaning, but not all of them are hand built. OP could post the last 6 digits of his VIN number to find out. I can guess the first 3: 1FC. Hand/slow built prototypes are all scrapped when done with. They don’t find their way into private hands. Sorry I didn’t get back to this post earlier this week – tough sometimes to get time to respond. The last six digits of the VIN aren’t really conclusive – 140975, which doesn’t sound that low, but the production date is fairly early. I am sure it’s a production car, as it doesn’t exhibit any odd pilot car traits. I thought about it being a management lease car, but I bought an ’89 Town Car a few years back (spoiler alert for CC readers who will hear all about it soon) and its Marti Report calls it out as a “Company Lease Plan” car which I assumed was the management lease car. Could just be an early car that a Ford department wanted to get from the line for some reason. Congratulations on your time machine – very attractive! 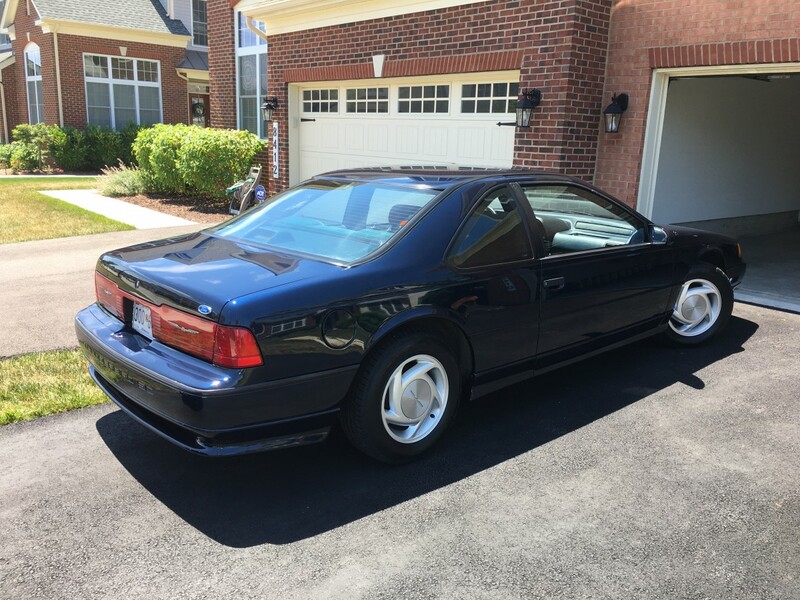 My wife and I purchased an immaculate, low mileage and well equipped ’89 Thunderbird LX in the spring of 1993 and had it until it morphed into a new ’99 Town & County LX. It’s funny how coupe ownership seems to work out that way. IIRC, Ford called the auto-dimming rearview mirror Electrochromic. It was not a motorized tilt, but a process where the mirror darkenend to a deep blue-green tone when light came at you from behind. Over time, ours progressively darkened less, and eventually stopped working. It was the only thing that didn’t work properly when we sold the car. There are some You Tube videos of the mirror in action. I’ve had cars with the electrochromic mirror (and usually like them, and haven’t had any car long enough to see them stop working). The one in this car, though, is definitely a regular day/night mirror with a motor to swivel it. I only know that because in my fiddling with it I managed to get it to work once or twice before it ceased to work at all. It’s a little weird, but I guess they hadn’t yet gotten to the electrochromic technology. Lovely car- glad you’re enjoying it. Two close friends had Super Coupes, I had a ’91 LX with the 5.0. Lots of miles and smiles thinking back on that. Thanks for sharing. Beautiful Bird! A 1993 SC was the first forced induction car I ever rode in. It left a heck of an impression too. I’m still on the hunt for a nice 95 with a 5 speed, Black on Black. It’s a shame that Ford was disappointed in these and did the bare minimum to keep them on the sales floor. They were really great GT cars. Beautiful car! And I love the story behind it too. So cool that it is even the same color as your first ’89 TBird (and a great color to boot). I would find this car truly compelling as a collectible, for its looks, rarity and vintage. Enjoy showing it off!! It is to me. I would rather see this car and some 87-88 Turbo T-Birds then the whole row of Tri-fives I saw at the last car show. To me the Tri-five was never really special. When I started liking cars when I was around 7 years old (in 1984), I considered the tri-fives to be an old car. Now some 34 years later the Tri-five cars are even older cars to me. I think the Turbo Coupes and the Super Coupes compliment any car show. It is time to take cars from the 1980’s and 1990’s seriously. Even here, you go to a classic American car show and it’s just Mustangs Mustangs Mustangs. Over it! I’d spend a lot more time sticking my head in one of these. I really admire the MN-12 cars! Good advice – this car did come with the “light package” that has the autodimming headlights and auto on/off lights, plus a bunch of extra courtesy lights. I’ll definitely check those fuses – I did get the mirror to work once or twice, so it may be a loose wire/bad ground. I get lots of interest at car shows in the car and just when I’m out – these MN12 cars have largely (but not completely) disappeared from the road, so people do remember them fondly. Great story! Back in the late 1990s I seriously considered buying a used Thunderbird SC, but had some trouble finding a used example that wasn’t beat up, and I ended up buying a Contour SVT instead. Several years later I met my future wife, and she drove — of all things — a Thunderbird… hers being a 1995 LX that she bought new. We still have it, and hopefully will for many years to come. These days, we drive it only about 1,500 or 2,000 miles per year. Incidentally, ours has the same power-seat issue. It’s way down on our priority list, so we just deal with the minor inconvenience. My gosh, a unique Ford steering wheel?! I had no idea ANY Ford product didn’t share one of the ubiquitous shapes common across all lines 83-2012. Wow, what a gorgeous machine. Yes, despite all the cost cutting at the end these cars used two different steering wheels and unique switchgear not shared with any other Fords. However, this in itself was a cost cutting measure since these cars were originally slated to have dual airbags. You made the right choice in buying this car. Looking back on all the cars I have owned, I can’t really think of one that I would buy again. However, I have always really liked these cars and their sibling the Cougar. I had a new Cougar in ’84 and it was a nice quiet, smooth,and comfortable road car. This model had so much engineering in it. The rear IRS, four wheel disc brakes, front suspension sub frame and a good choice of different engines including the supercharged version. This was the realization of the dream that started with the turbo charged four Thunderbird, which I don’t think was nearly as successful. I also have to say that I’ve been over the “nifty Fifties” Chevys and muscle cars for years. Cars like your T Bird and the Mark VII and many others are much more interesting. One more thing, can they stop playing Fifties and early Sixties Rock music at most car shows? Yes! Those were the seats. Very classy, and I loved the embossed cougar emblems. At least you still have your cat, correct? It sure is nice from the photos you shared. That the way modern car should be design with lower window belt just like these gen of T b . , who btw still look modern except if you fix at a last gen Camaro . 28 years ago , our eyes were not pollute with all the slit gun window of today . Well done, Sir. Your ’89 looks alot better than my ’93 LX. If I can give you any advice on this car it’s this: Go to the junkyard now, and fill up on parts. Your interior is Midnight Blue, which in itself was a difficult color to come by. 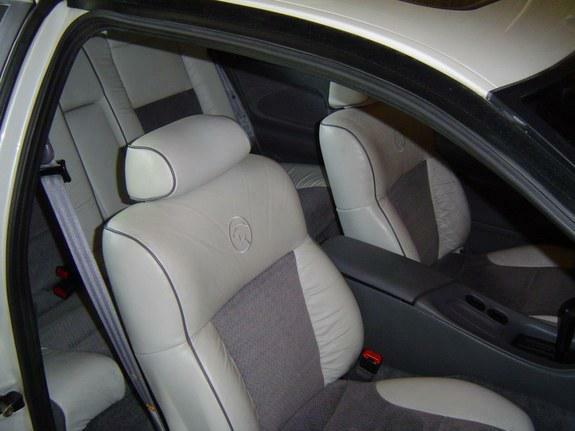 The interior trims on this car were better in 1989 to 1992. In 1993 is when the plastics cheapened up. 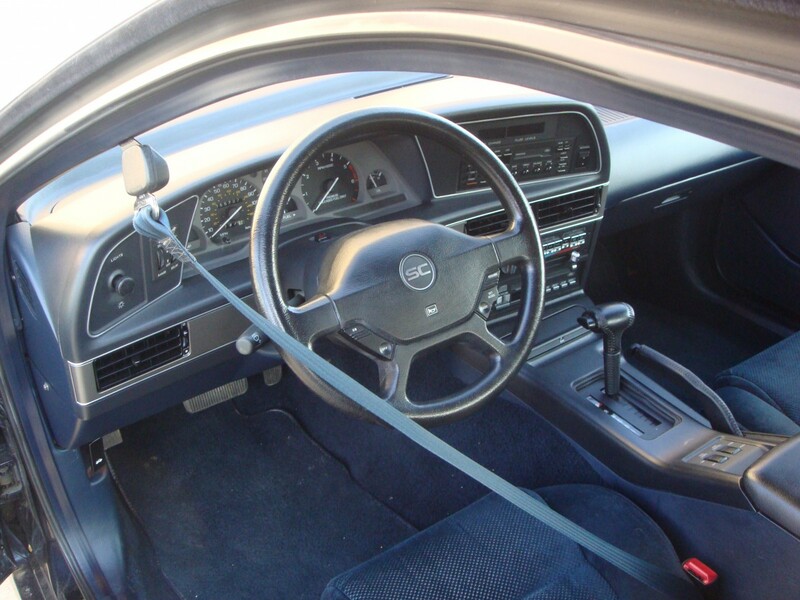 Find a manual track for the drivers seat (96-97) to replace the motorized seat. It will drop the seat height and distance to the steering wheel by 1″. You can swap interiors from 89-93 Tbirds and Cougars, and some early Mark VIII stuff. Hunt eBay for parts, there are alot of NOS parts for this vehicle on there. Yes, I’ve been grabbing parts wherever I can. I’ve got quite a stash in the basement – the door cups behind the door handles, an extra working CD player/cassette player, an extra engine ECU. It’s definitely not like a Fox-body Mustang where you can get parts easily (and even get some reproduction ones). I don’t at all get the 50s rock at car shows which are mostly now full of people who came of age during the 1970s at the oldest? I don’t hate that music in isolation(I actually love old rock music, despite my age) but it feels like parody at this point at car shows. I agree completely with that list, the only way I can get interested in any of those those cars at this point is if they are low end models with the least “desirable” equipment. For all the love of ala carte options old car collectors tout, their actual cars they seek out are as homogenous with every other remaining example as a 2018 car to another 2018 car. it’s because the Boomers with money are busy staring into their own navels. it’s why I can’t stand being around most guys; they do nothing but talk about how awesome they think they were in high school. thankfully they’re finally starting to dwindle away. Great write up and car! FYI, Marti Auto Works could do some research for you and tell you which SC your car was (i.e., 1st one built, 500th one built, etc.). They offer specialized statistics reports on their website. What a beautiful car–the MN12 Thunderbird is probably my favorite Ford design of the era, and one of my overall favorites. The deep blue suits the shape perfectly and the SC alloys are also ideal. I’m glad you were able to (re)purchase a car that you enjoyed years ago, and hopefully you continue to treat each other well! I’ve never driven one of the SC models, and I do wonder how they compare in feel to the V8 cars. The only MN12 ‘Bird I’ve had the chance to drive was a ’96 LX V8, pearl white with gray leather. A friend’s father was selling the car in 2002 and I wanted to buy it, but just didn’t have the funds at the time. 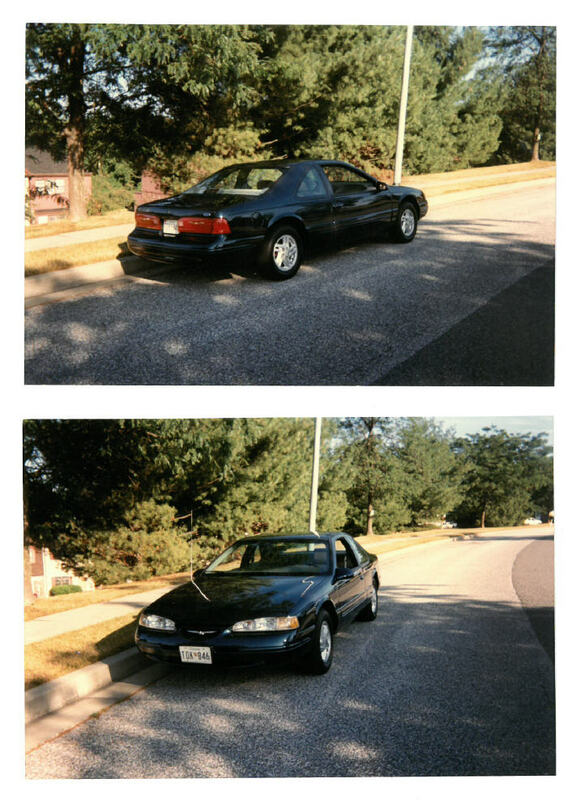 I did quite like it though, and that may have been a small factor in my buying a ’96 Mark VIII a few years later.